Explore our huge and growing collection of Halloween worksheets and bring some Halloween excitement into the classroom or home. The kids will enjoy having something a little different this Halloween! We've got lots to choose from, including Halloween acrostic poem printables, a selection of maths worksheets, early years handwriting and cutting practice worksheets, story paper and story starters for creative writing, and lots more! 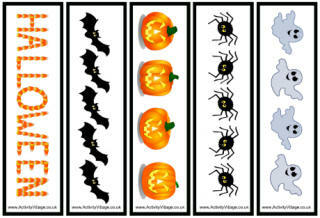 Here are some more fun Halloween worksheets that you can use in the classroom or home.